There was a couple of things that I did when Rhianna and Rylan were first born. 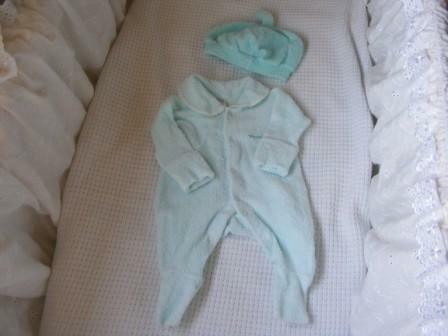 They both wore was this little outfit. It isn't anything particularly special in terms of beauty, it's just a little green wondersuit and hat, but because it was the very first piece of clothing they both wore makes it very special to me. Three will wear it as his/her first outfit too. They both slept here for at least the first three months of their lives. Right next to my side of the bed. 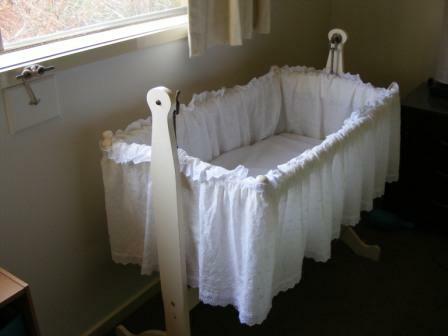 This little cradle has a bit of history in my family. My cousin's first three children slept here, and then my two did. Three will sleep here too. I also made Rhianna and Rylan a cradle/pram sized crochet blanket. Rhianna has a ripple pattern and Rylan a shell pattern. 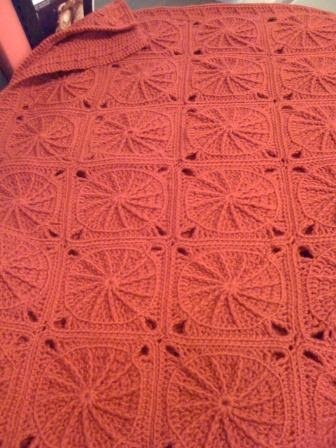 These blankets have been well loved and I can't find any photos of them. Rylan still uses Rhianna's in the pram. Three will have one too. How gorgeous. Such an exciting time, the countdown is on now.